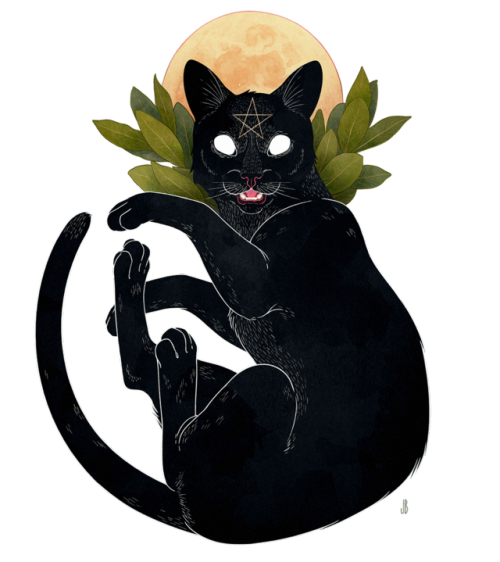 The cat is one of the most prominent and iconic of witch's familiars. An emissary of several pagan goddesses, ethereally aloof, effortlessly diabolic - they have long been considered to be potent magical agents in the worlds of both matter and spirit. Dr Alexander Cummins is a diviner, sorcerer, and historian of magic with a keen interest in folk necromancy and magical medicine. He can be found and booked over at www.alexandercummins.com/ and on them Instagrams at @grimoiresontape. He is also, of course, a proud cat-dad.